In our last blog, we were discussing how storage space in yachts needs to be utilized to the fullest. Even the largest yacht in the world can still struggle finding a safe place to store all important objects. If you have high-quality and expensive items, it only makes sense that you would want to care for them the best you can. Aside from just offering gentle care to your items, custom storage compartments can add an element of style, decoration, and organization to your marine vessel. In this blog, we will continue talking about ways in which you can optimize storage space on your yacht. 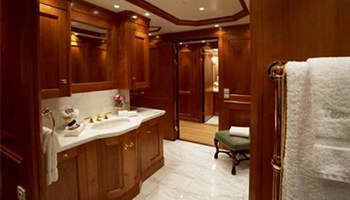 In our last blog, we discussed how our custom carpentry services can provide your yacht with either easily accessible storage cabinets or secret compartments to house your most expensive or delicate items. 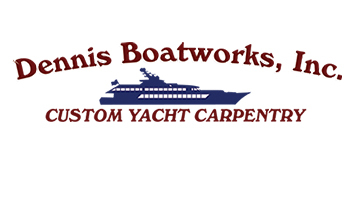 By using expert carpenters from Dennis Boatworks, you can achieve flawless carpentry work inside your yacht or vessel. 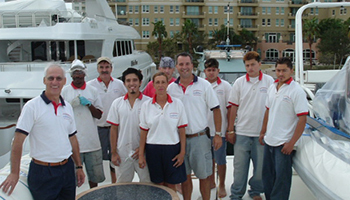 And, best of all, all of our work is custom designed and built based on our customer’s needs. So, if you would like a compartment built for a specific item, we can do that for you! In the past, we have been able to build secret compartments for delicate, even protective items, such as a gun collection. Having a secret compartment to hide your safe can be an especially good idea, just in case nosey strangers go looking for valuables or weapons. Custom shelving is something we, at Dennis Boatworks, take pride in. We are able to construct custom shelving anywhere our customer wishes. Whether you need shelving in your bedrooms, bathrooms, or even unique areas, such as your living room, we can assist you. Shelving is a great storage option because it helps clears and organizes your space. With designated shelves, you can keep certain items together without letting them get lost in a drawer or a cabinet. And, shelving is also a better option for storage because you can see exactly what is being stored and easily access it. When too many things are crammed into a cabinet, items can get lost or damaged. Not to mention, when items are crammed together in the depths of the drawer, this means that you will have to bend over or crouch down to retrieve items. If you would like to simplify your storage options, shelving is ideal. Best of all, shelving itself can be quite diverse and be used for a wide range of items. For instance, you can choose to have classic book shelving installed or opt for custom shelving. With these services, you can choose custom designs and even custom shelving materials. Drawer space can be valuable in a vessel because it can hold many items. Specifically, at Dennis Boatworks, we can create drawer spaces the fully optimize your space. With our craftsmanship, we can organize your cabinets to feature many various drawer sizes. You will be able to see an example of our drawer carpentry, here. Drawers can be a beneficial storage option because they can be used to organize your belongings. For instance, you can confine all of your specific objects of the same category to one specific drawer. This also ensures that you will never lose any of your items, especially if they are located in one, organized drawer. One of the greatest benefits of having a custom carpentry service is that your can optimize your storage space in many different unconventional ways. For instance, in the past, Dennis Boatworks has been able to coordinate secret storage under your guest beds. That’s right, if you have fragile items that need to be laid out and tightly packed, such as wine bottles, bed storage is an option for you! The design of this type of storage is simple; a hidden compartment is designed under your bed and accessible if you lift the mattress up. Just like that, you can receive much more storage space in a unique location. 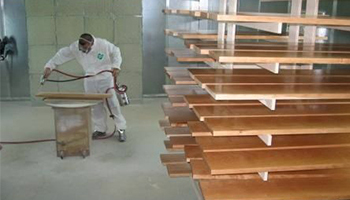 If you are interested in our custom marine carpentry services, contact us today. We have trained carpenters ready and able to take on your projects. If you are in need of optimizing your storage space, we can help you! Contact us today.